Marius Babias, Director of the Neuer Berliner Kunstverein (New Berlin Art Association), talks about media art and its most important representatives in Berlin, the social role of public art institutions and the significance of transculturalism in art. Mr Babias, what does media art mean today? Media art is a matter of definition. 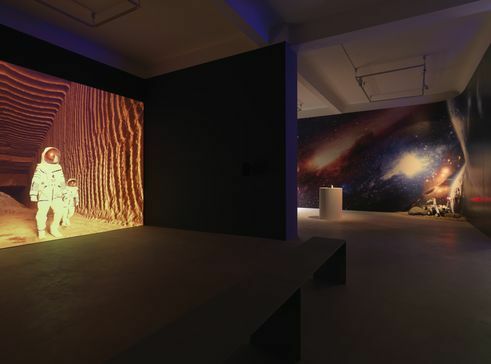 At the beginning of the 1990s, there were a number of philosophers and semioticians who maintained that media art would supersede classical art and demonstrate the meaninglessness of painting, sculpture and other media. Because only media art and the digital arts were relevant to the new age of the computer. When we look back on these predictions now, none of them has come true, and the rash hypotheses of Jean Baudrillard and Vilém Flusser have made them look a bit silly. Where they were right is that the whole society has taken a digital turn. Still, the old arts and their old material-oriented thought and problems have remained. They weren’t eliminated by the computer and the digital revolution. I therefore actually avoid the term “media art” as much as possible, because it suggests that there is no material world with real problems in it. 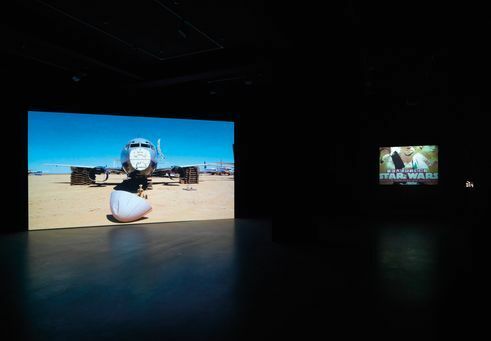 Hito Steyerl, After the Crash (2009 | Do You Speak Spasmoc? (2008) | Exhibition View Neuer Berliner Kunstverein, 2009 | © Neuer Berliner Kunstverein/Jens Ziehe. What does the term “transculturalism” mean in art? At a time when the cultural landscape of Europe is being re-gauged and re-designed, the visual arts should enter into the work of co-defining what an overall European identity would look like in a global context. Why shouldn’t it be a mission of art to define what it means to be a European? That is what I meant by transculturalism. Since then, twenty years have passed. Today we have a different problem: the refugee debate. And again it could be a task of art to take a leading place in co-defining what a life in immigration, in a post-migrant society, means. We shouldn’t to leave the right to shape these issues to politics and, above all, to populism. How would you describe the present media art scene in Berlin, and who are its most important representatives? Perhaps we should talk less of media art or video art and instead work more with the term “moving image”, which integrates the diversity that is in evidence in this area in Berlin. To be mentioned of course are the educational institutions, such as the University of the Arts, which has a corresponding degree programme. But also Arsenal, with which we work together a lot, and the silent green Cultural Quarter, which is building an exhibition hall that will focus on the moving image. And of course us, the n.b.k. 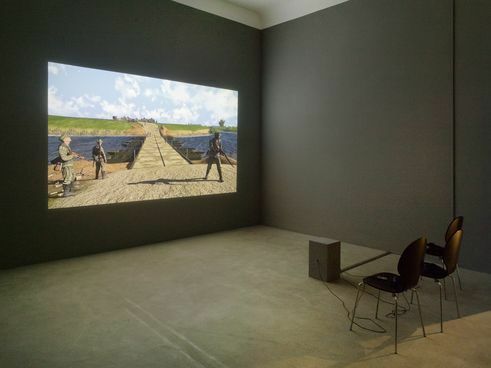 We have the largest collection of video art in Europe, which includes filmmakers. It’s not an archive, but an art collection, which has grown over fifty years. With our 1,600 works, we are now bigger than the Centres Pompidou Archive and bigger than any private collection in the world. Our collection is a public service mission of the State of Berlin, and we accordingly make it actively public. We have a video forum and a reference library, where visitors can register and then view these great works. There are also seminars, and many curators from all over the world come here to do research. This is our educational work. Are there also collaborations with private local video art initiatives? No, not specifically. It’s not part of our mission to work together with private collectors, but we know and value each other. Our task is to serve democracy and the public. Our idea is that life is a form of constant production. Cultural institutions should find ways of translating this process of affective work and make it available to the public as model services for participation. Because in the end, cultural institutions shape the cultural self-image that a society has of itself, and in this way they can strengthen the democracy on whose behalf they act. We have to pay attention to social relevance and to produce aesthetic values. We can’t deliver ourselves into the hands of private interests. On the contrary, we must act not for a particular group but purely in service of the public. That’s our credo. Internationally renowned artists such as Hito Steyerl, Candice Breitz, Carsten Nicolai and Julian Rosefeldt live in Berlin. Does Berlin need a place for the presentation and discussion of media art, similar to the ZKM in Karlsruhe or the Ars Electronica Centre in Linz? We’ve worked together with some of the artists you mentioned. We commission a new work every year. We have commissioned works by artists such as Allan Kaprow, Rebecca Horn, Hito Steyerl and others who are today big names. In my view, Berlin doesn’t need something like the ZKM Karlsruhe or the Ars Electronica Center. For me, they cling too much to the previously mentioned concept of media and understand media art too little in the instrumental sense that I champion. An instrumental understanding that doesn’t forget there is also a material world. So it seems to me that our work in the video forum suffices. But we are rather cramped for space. We’re in discussion about this with political representatives in Berlin. I’m optimistic that the video forum will be expanded and we can present our treasures to the public on a permanent basis. We have, for example, a branch institution at the Nordstern Video Art Centre in Gelsenkirchen, where we can set up thematic exhibitions on six floors. I could imagine something similar for the presentation of the moving image in Berlin. Portrait: Marius Babias | Photo: Jens Ziehe Marius Babias is a curator and art theorist living in Berlin. 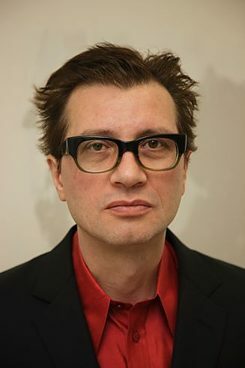 Since 2008 he has been Director of the New Berlin Art Association (n.b.k.). From 1997 to 2011 Babias held guest professorships for art theory and art education at the Städelschule Frankfurt am Main and the Centre for Contemporary Art Kitakyushu, Japan. In 1996 he was awarded the Carl Einstein Prize for Art Criticism. Babias is editor of numerous publications on contemporary art and art theory, and author of several books. Katerina Valdivia Bruch conducted the interview. She is a Berlin-based freelance curator, author and arts writer. Copyright: Text: Goethe-Institut, Katerina Valdivia Bruch . This work is licensed under a Creative Commons Attribution – Share Alike 3.0 Germany license.